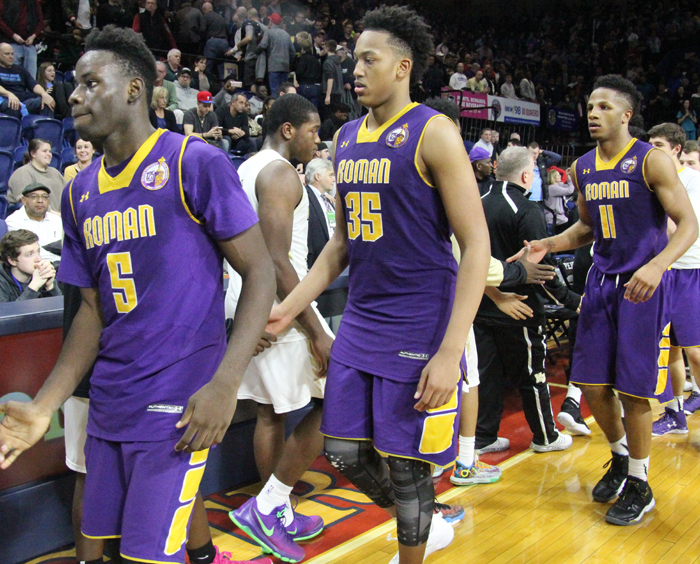 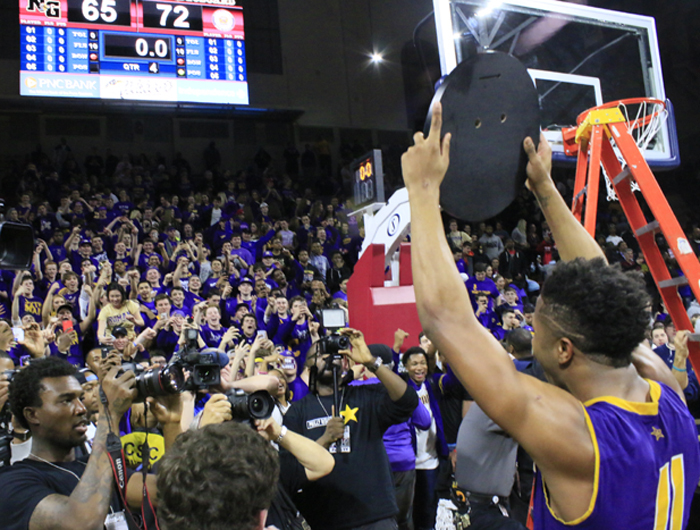 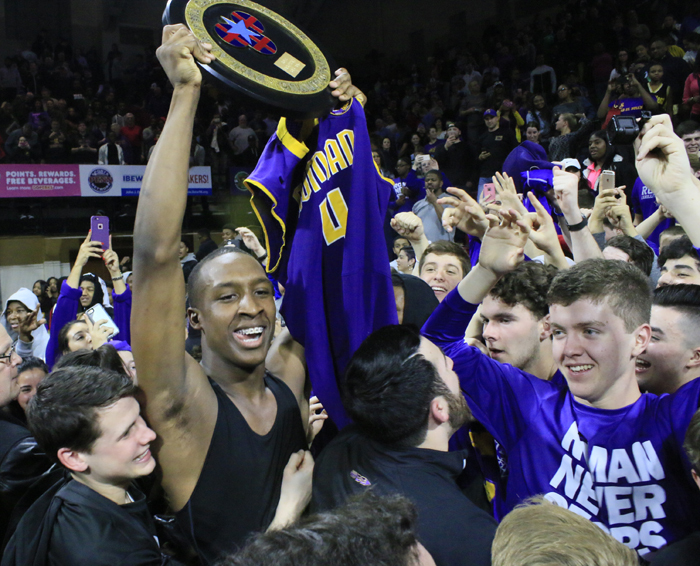 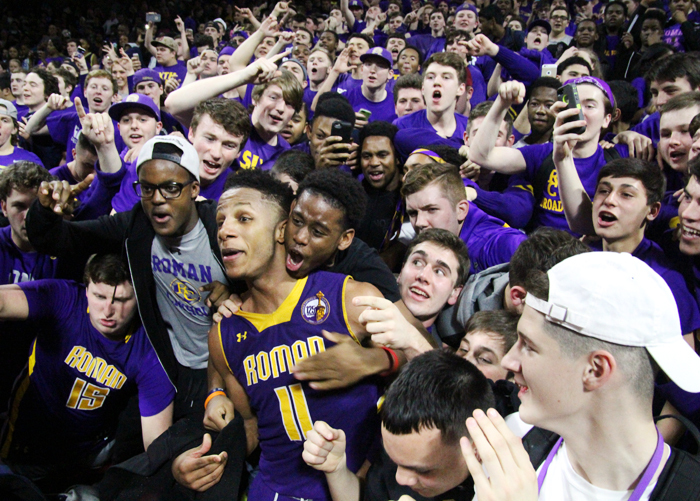 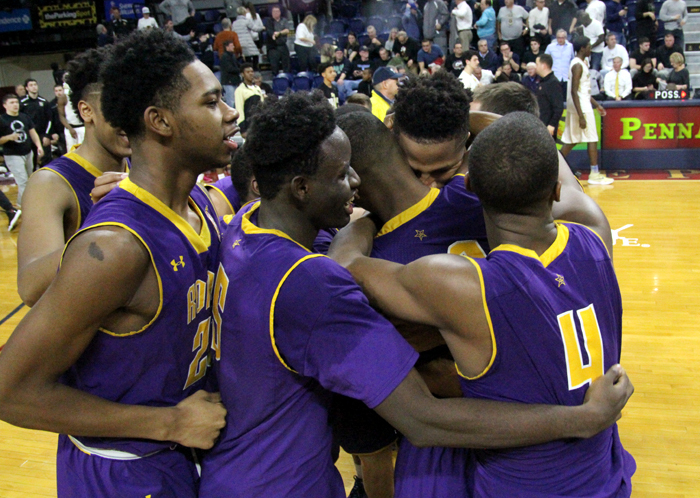 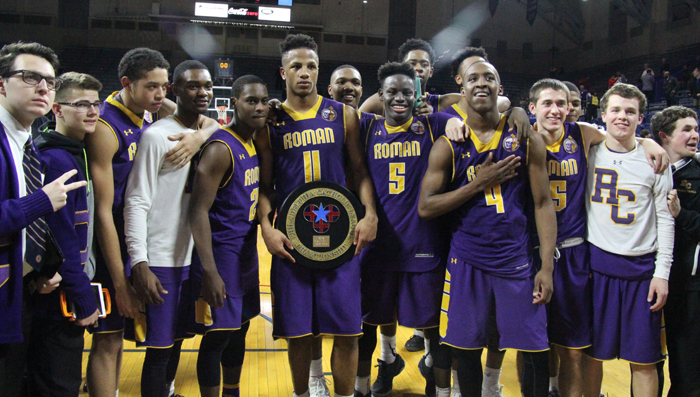 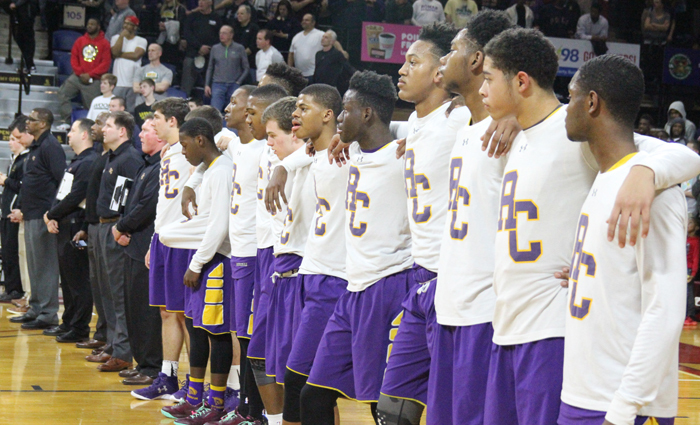 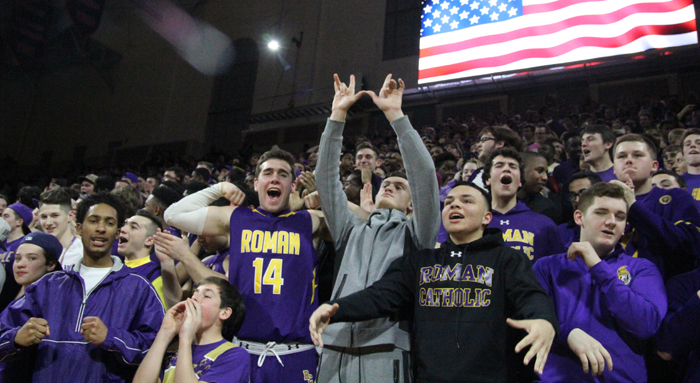 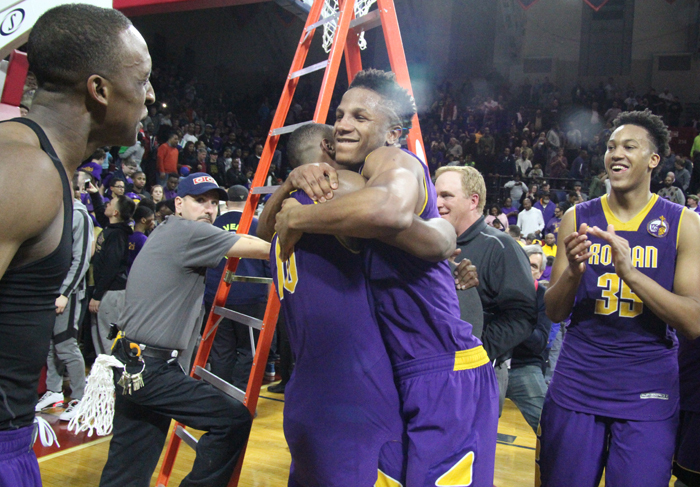 Immediately after wrapping up the win, senior Lamar Stevens ran into the Roman Catholic student section, which was the sixth man throughout the game, to celebrate. 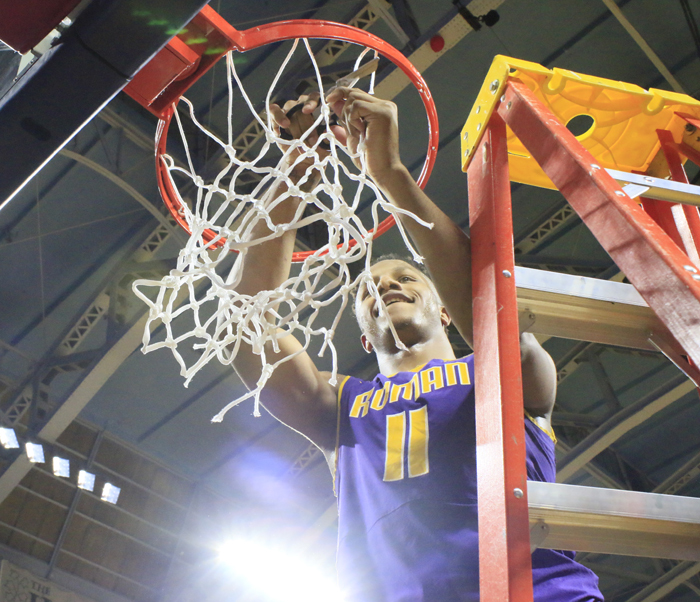 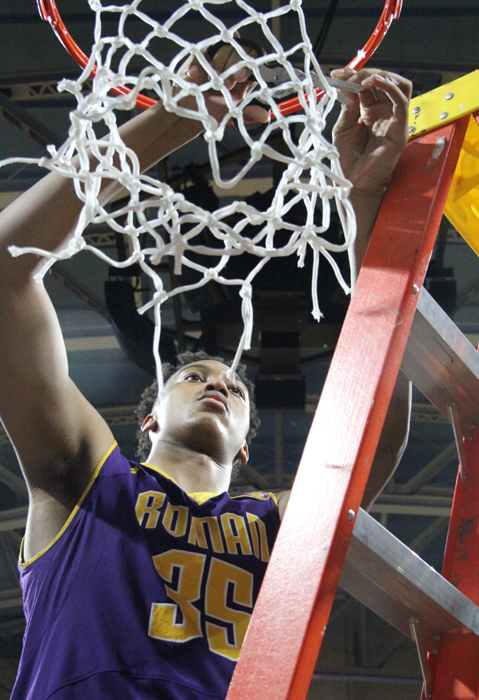 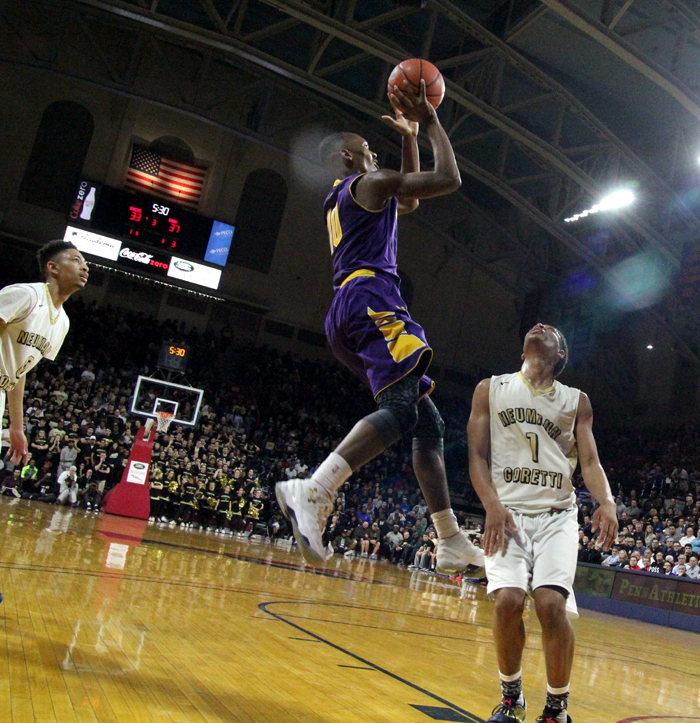 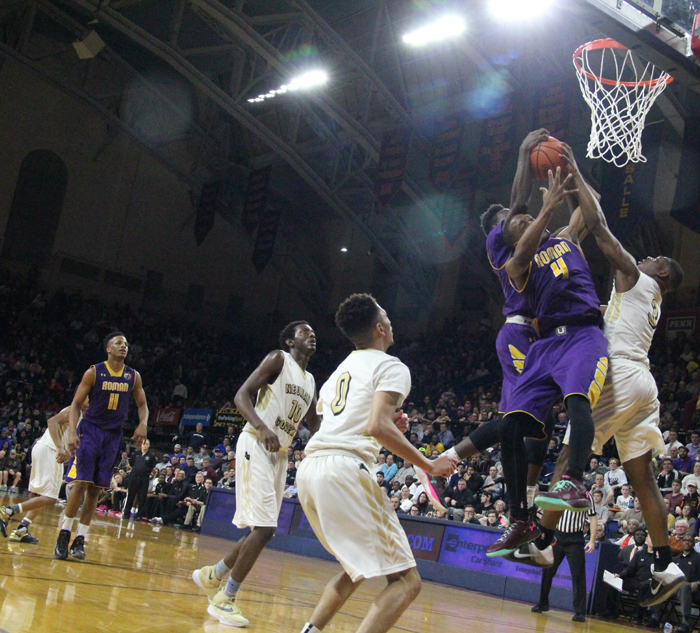 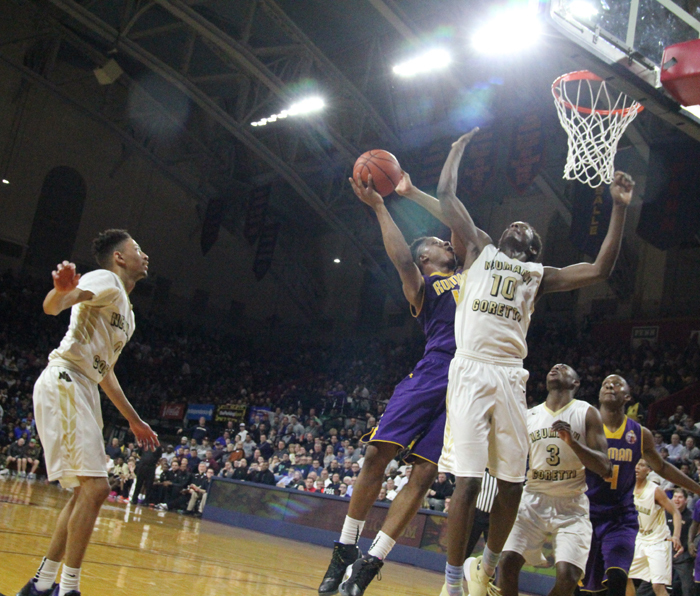 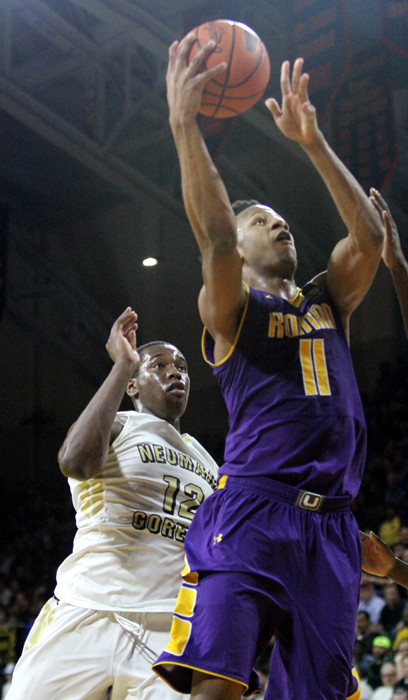 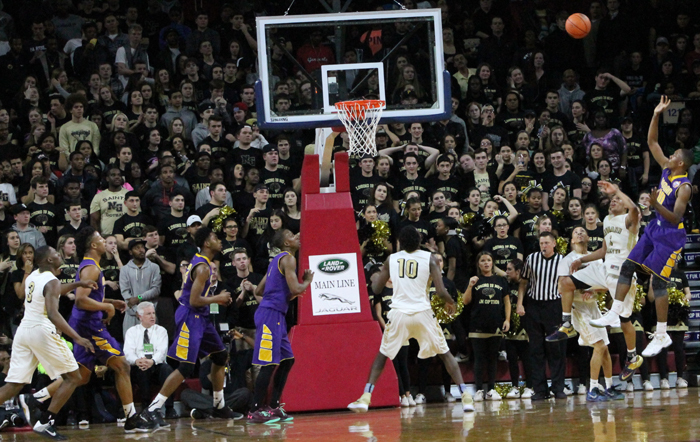 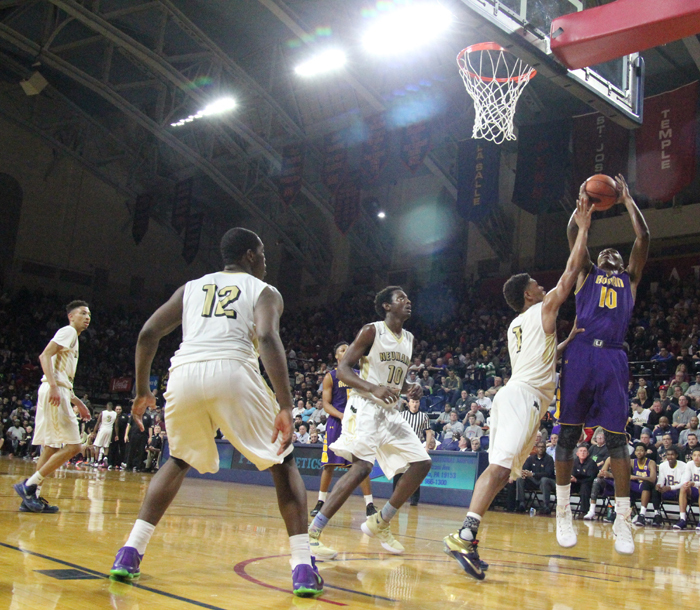 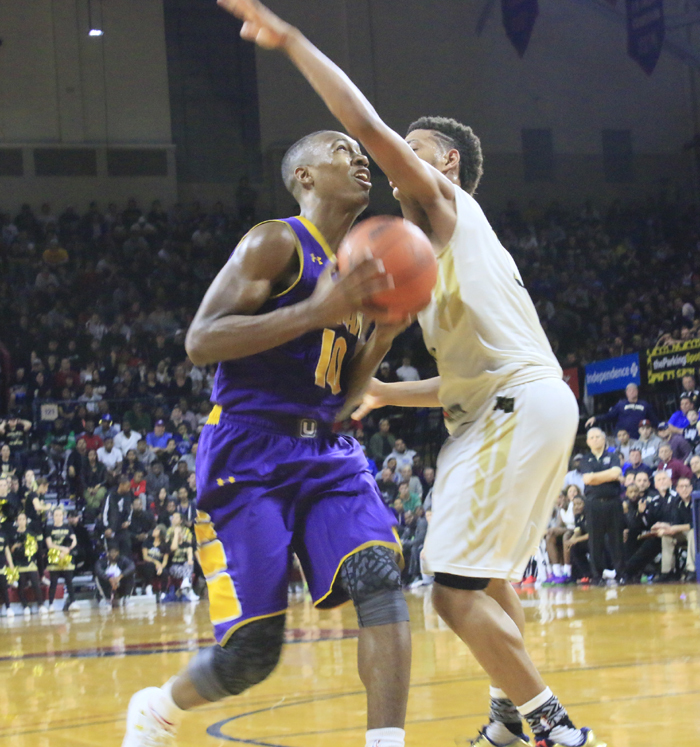 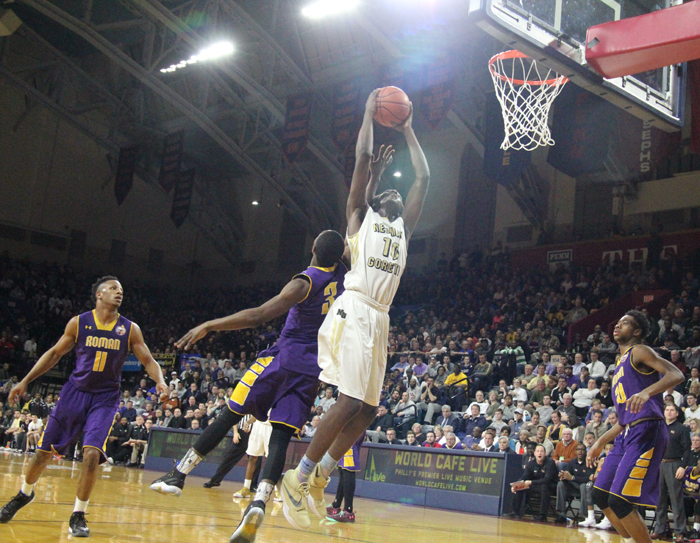 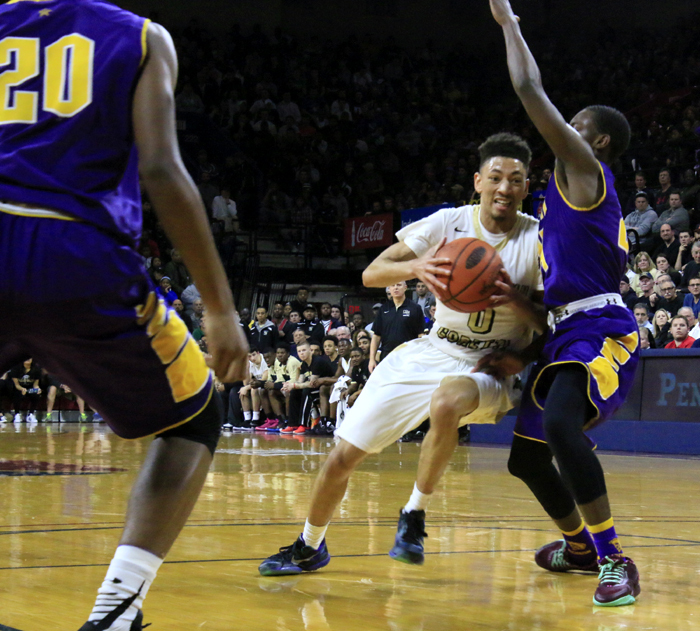 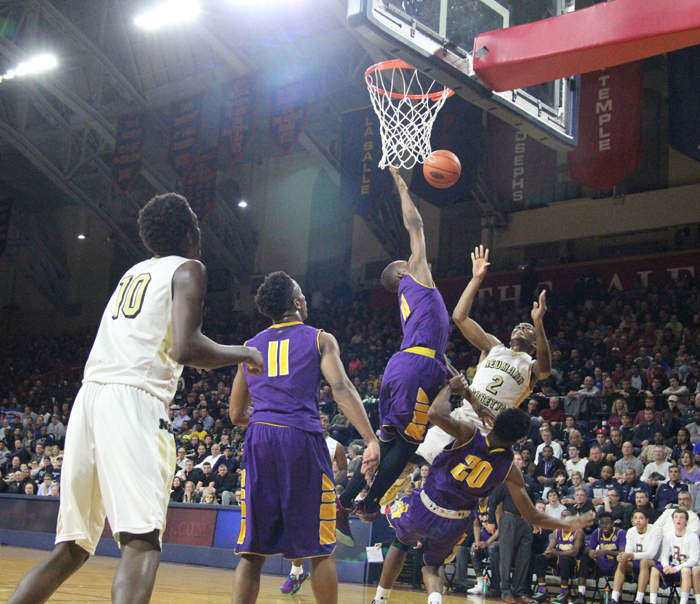 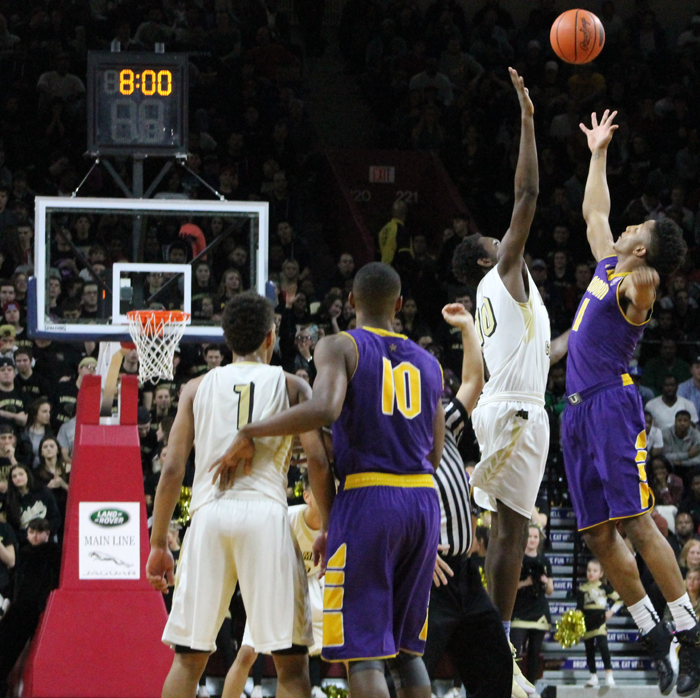 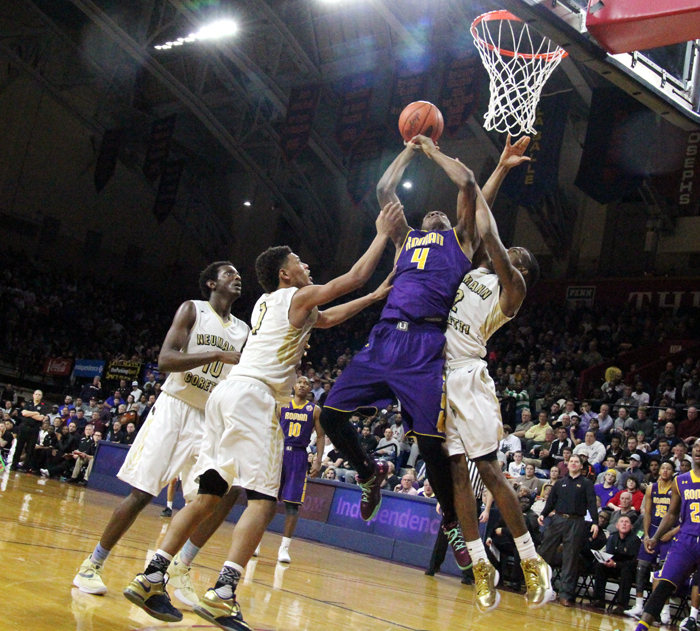 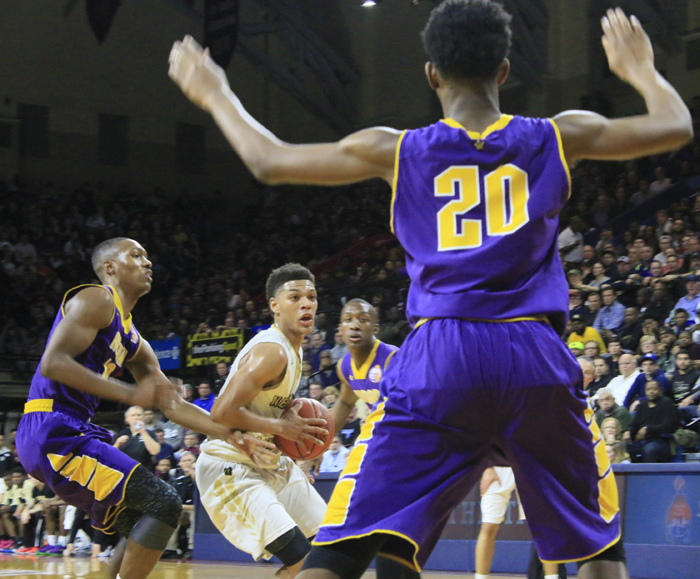 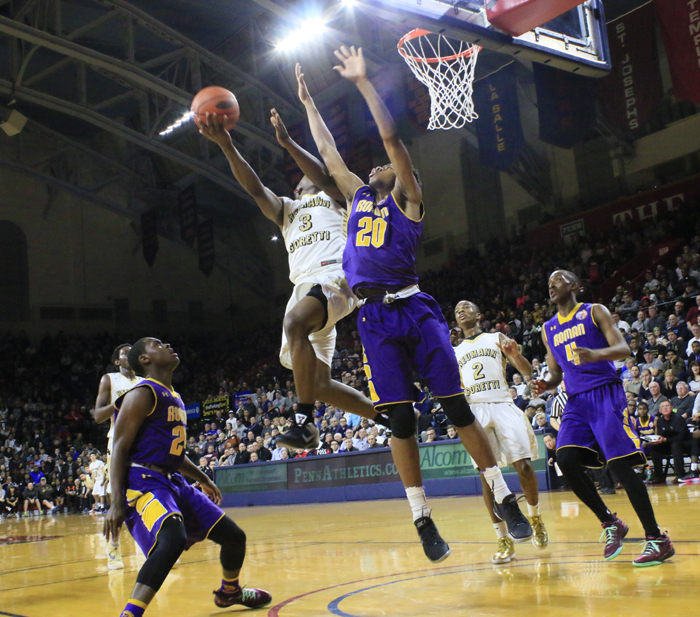 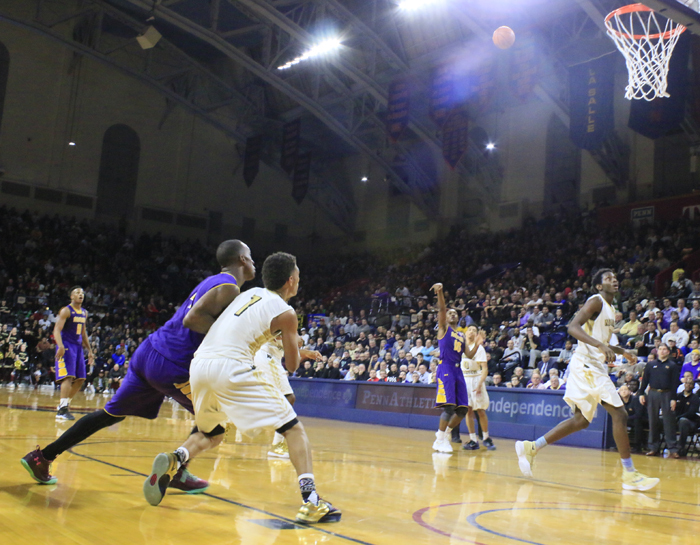 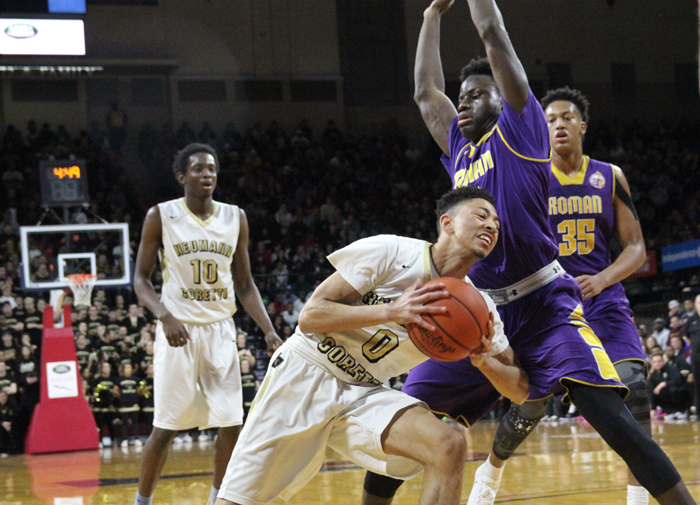 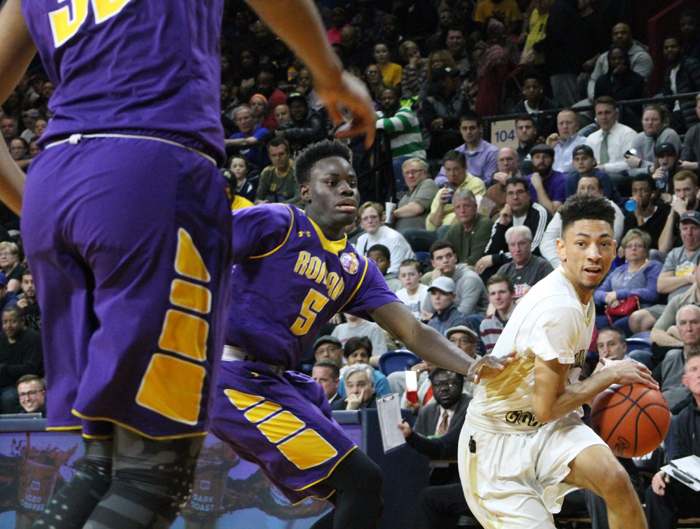 Star Roman Catholic senior guard Tony Carr shoots over Neumann-Goretti’s Quade Green. 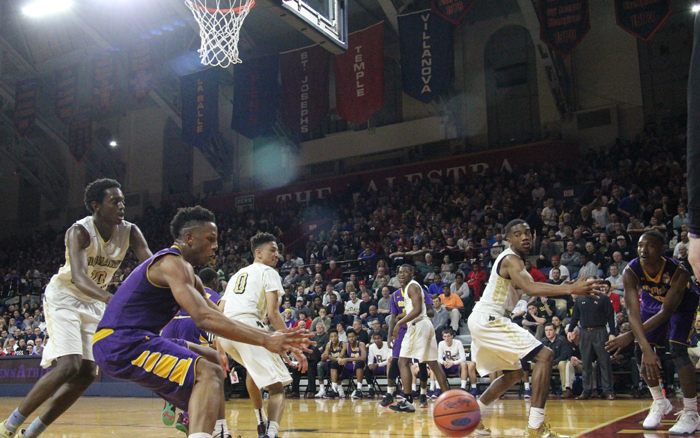 N-G’s Vaughn Covington drives down the lane toward the basket. 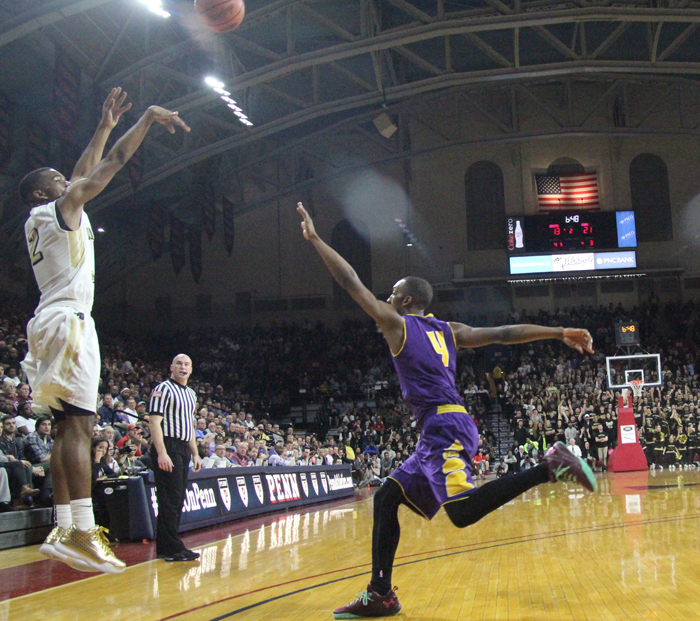 Neumann-Goretti senior Zane Martin shoots over the outstretched arms of Roman’s Mikeal Jones. 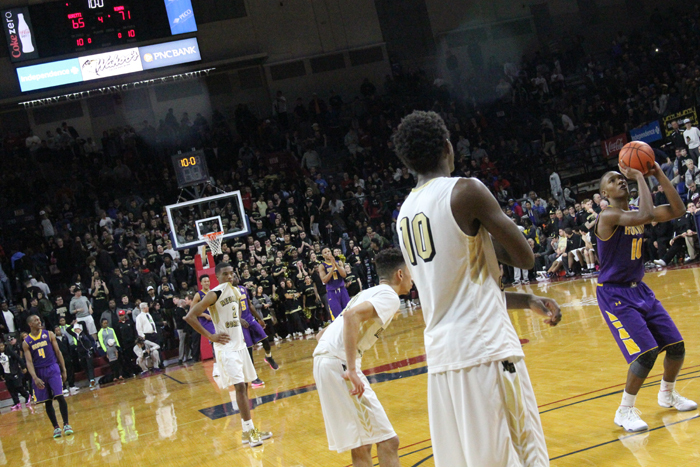 After being fouled, Roman’s Tony Carr makes his free throw to seal the 72-65 victory in the game’s final seconds. 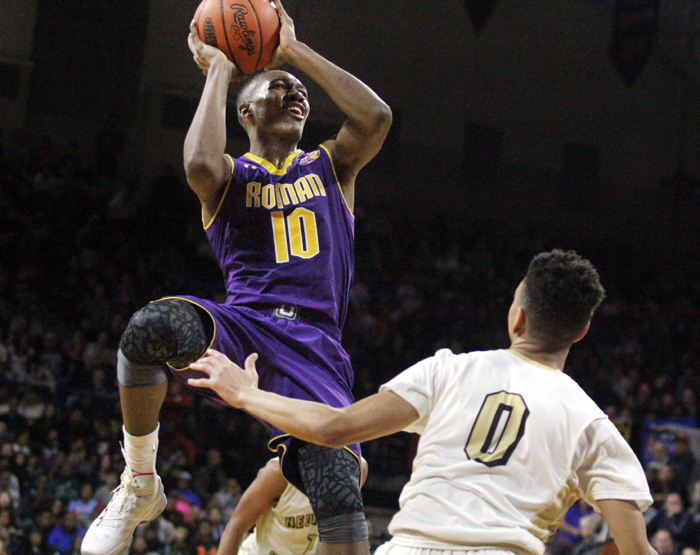 Roman senior Nazeer Bostick gets off a shot in the face of stiff N-G defense.